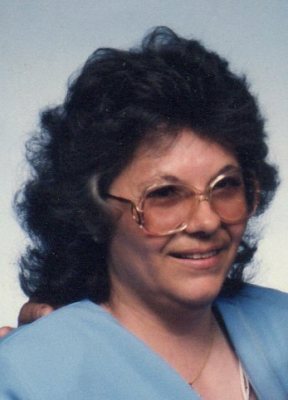 Karen L. Watson, 66, of Fremont, OH passed away on Sunday, October 15, 2017 at University of Toledo Medical Center. She was born on July 30, 1951 in Fremont, the daughter of Lawrence and Roberta (Carnicom) Giebel. Karen married Dennis Watson on February 21, 1972 in Fremont and he preceded her in death on August 13, 1995. She worked for Revere Plastics and then at Beck’s Cash Advance. She enjoyed cooking and spending time with her family. Karen is survived by her children, Lisa (Ronald Taylor) Sandwisch, Woodville, OH, Barbara (Norman) Everhart, Michelle (David) Thayer and Timothy (Samantha) Watson, all of Fremont, OH; siblings, Lawrence “Tony” Giebel, Clyde, OH, Steve Giebel, Fremont, OH, John (Felicia) Duffett, Whites Landing, OH; step-sister, Judith Duffett, Columbus, OH; sisters-in-law, Shirley Schlosser, Fostoria, Teresa Watson, Beltsville, MD, Vicki Lash and Jeanne (George) Bingaman both of Fremont, OH; brother-in-law, Robert (Rebecca) Watson, Fremont, OH; grandchildren, Samantha (Nate), Dennis, Breanna (Andrew) Andrew, Isabell, Ireland, Nicholas, Athena, Alexis, Ava, Timothy, Todd (Carly) Jessica, Tyler, Tanner, Maddy and John six great grandchildren and one on the way and best friend, Ruth Williams. She was preceded in death by her parents; step father, John Duffett; husband, Dennis Watson; mother-in-law and father-in-law, Samuel and Helen Watson. Visitation: Thursday from 2 – 4 pm and 6 – 8 pm at Wonderly Horvath Hanes Funeral Home and Crematory, 425 E. State St, Fremont, OH. Service: Friday, October 20, 2017, 1:00 pm at the funeral home. Very sorry for your loss prayers sending your way to you and your families. I have many great memories of your mom when she was always with my mom. She was such a wonderful person. God bless to all of you. We are so very sorry for your loss. May she Rest In Peace. You are all in our prayers. So very sorry to see this about your Mom. You and your family are in my thoughts at this very difficult time. My heartfelt sympathies! Karen was a very kind and giving person. It was a pleasure to get to meet her. My heartfelt condolences to her family and friends. Wishing you peace to bring you comfort, courage to face the days ahead, and loving memories to hold in your heart forever!! Love and prayers to all family….